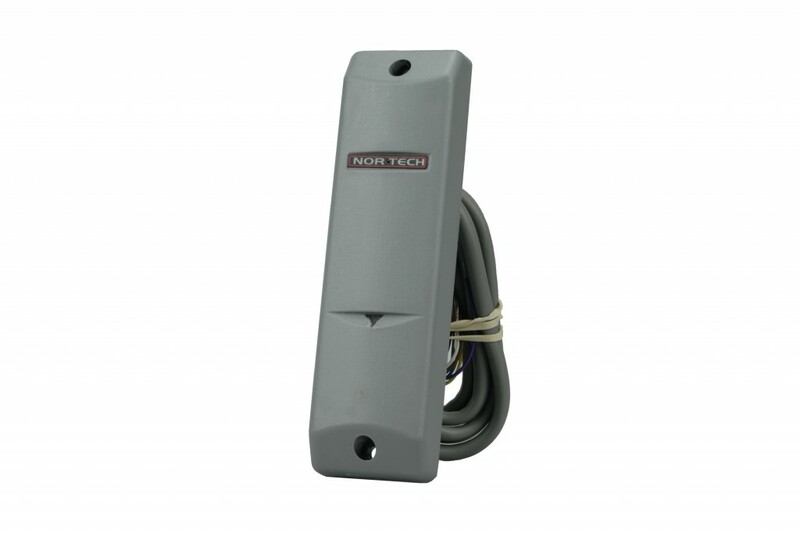 The PR125P Proximity Readers are micro-controller based, using up-to-date technology in order to meet the requirements of a vast number of access control applications. Cards and Keyring Tags: both Keyline Tags and PQ Cards are available as compatible access tokens. Unique Code: each access token is uniquely encoded. Common batch codes are available for site codes. Interfacing: readers are compatible with industry standard Wiegand, RS232 or Clock & Data communications protocols. Rugged: readers are fully encapsulated to be weather and tamper resistant. Activation: built-in buzzer for audible feedback to the user. Display: multi-colour LED display indicates status of the card presented.